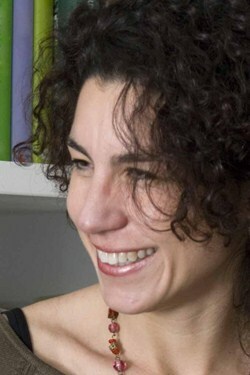 Gabriella Mazzola (born in 1974) obtained a degree with honors in Architecture from the University of Palermo, with a dissertation on the history architecture and landscape engineering. She obtained her professional certification in 2000 at the University of Architecture in Palermo. She is currently enrolled as n. 8938 in the Register of Professional Architects of Turin. After graduation, she specialized in garden architecture and landscaping at the University of Palermo and in 2005 completed a post-graduete course in Landscape and Green Areas Design offered by the University of Turin. Now based in Turin, Gabriella has been working as a freelance architect and landscaping specialist since 2001, travelling extensively within Italy to design and implement indoor and outdoor “living space” projects. All her design efforts are aimed at providing solutions that integrate seamlessly into the landscape and are in harmony with nature, while meeting the client’s requirements. In 2007 Gabriella established her own landscape design engineering firm, called Il Sole nel Giardino (“The Sun in the Garden”), based in Turin. In Italy, she has designed gardens, terraces and vegetable-and-flower gardens and has participated actively in the leading trade shows with installations, studies and research. In September 2008, a project Gabriella that displayed in Murabilia (a national gardening exhibition held in Lucca, Italy) was awarded 1st prize for the most aesthetically pleasing entry. In the public sector, she contributed to the detailed engineering project related to the historic area Castellana in the Municipality of Castelbuono (Palermo, Italy), which then assigned her the task of drafting the final project for the transformation of a power plant area into a parking lot and public green space. Since 2007 she has contributed to the Italian magazine Gardenia for its 'Designing the Terrace' column. She has always been passionate about photography, and in 2009-2010 she helped VilleGiardini prepare text, photography and styling for its 'Profiles' and 'Products Doc' features, with special focus on Slow Food products, and in 2011, assisted the magazine Ville & Casali, providing similar services. In 2012 she collaborated with the PAV-Park of Living Art – Turin (http://www.parcoartevivente.it/pav/index.php?id=259) in creating an educational workshop with adults, children and young people on natural materials, helping participants create nests in hemp rope, designed by the architect herself. Recently Gabriella has created the “inCorda” brand for her own line of country-style furniture objects for green spaces, manufactured using traditional materials such as hemp rope, iron and wood. Over the past few years, several industry magazines have featured ideas and projects authored by her firm. Thanks for your attention Gabriella Mazzola http://www.ilsolenelgiardino.it/gabriella_mazzola.html http://www.ilsolenelgiardino.it/studio.php http://www.gardendesign.com/ideas/italy-green-terrace-roof-garden?pnid=140674#gallery-content PROGETTAZIONE ARCHITETTONICA E ARCHITETTURA DEL PAESAGGIO PROGETTAZIONE E REALIZZAZIONE DI GIARDINI, ORTI, TERRAZZI PARCHI PUBBLICI E PRIVATI. DESIGN D'INTERNI ED ESTERNI. ALLESTIMENTI.